All countertop surfaces are not created equal since some require more work than others in the maintenance department. There is a multitude of countertop surface types and the most popular doesn’t mean the best for your needs, especially if you are looking for something low maintenance. Life gets busy and you may not have the time to keep up with regular maintenance on your countertop. 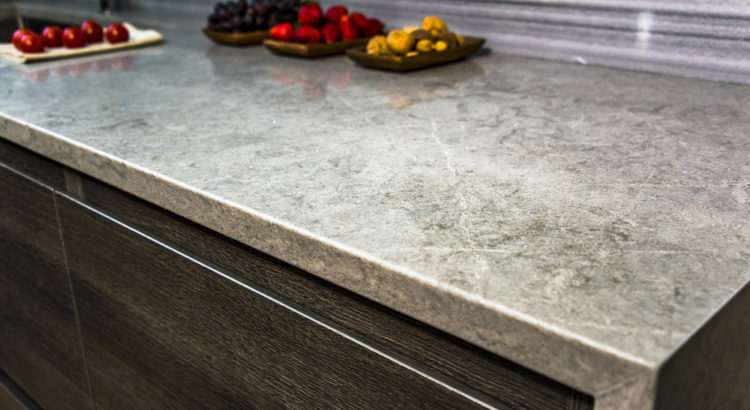 Let’s take a look at a few low maintenance countertop surfaces that may be right for you. Laminate surface is made up of layers of hard particleboard or kraft paper, hardened with resins. Melamine resin is used as an overlay, creating a transparent top that protects the layers beneath. Laminate countertop surface is hard, nonporous, durable and scratch, shrinkage, and impact-resistant. It is cost-effective, available in dozens of colors and patterns and is easy to clean. Sealing and refinishing is not needed in the future and it is easy to replace. This eco-friendly surface is fairly new, but this sustainable product is ideal for kitchen and bath countertops. It is comprised of a diverse blend of recycled crushed glass embedded in clear acrylic resin or concrete. The surface is made up of a diverse blend of glass, with differing colors and blends of colors. The surface is smooth and entirely nonporous, resistant to stains and heat and it is quick and easy to clean. Although somewhat susceptible to acid and discoloration, you will save on maintenance costs later on, since it doesn’t require sealing. This is a practical counter surface that features a seamless finish and is available in several different types. Solid surface is created from man-made material, typically composed of a combination of alumina trihydrate (ATH), acrylic, epoxy or polyester resins and different pigments. This surface provides the advantages of a laminate surface, but is of greater quality in solidity and durability, and is non-porous, stain-resistant and easy to clean. Light scratches can be removed by sanding out the imperfection and restoring the appearance. Whether you need a counter for your bathroom or kitchen, quartz is a viable low maintenance option. It is made from the strongest natural mineral on earth and is combined with resin, and has a granite and marble appeal in appearance, but lacks the inherent weaknesses of both. Quartz surface countertops offer worry-free maintenance through its nonporous surface, durability, resistance to heat, scratches and stains and its lack of sealant, polishing and conditioning requirements. It is easy to clean and long-lasting. Even with these low-maintenance countertops, eventually they may become a bit worn-out looking. Eastern Refinishing can provide countertop refinishing on all of these types of surfaces. Contact us today to learn more!